Re: Pictures from the Past! Any help on this slide/picture from 1977 is appreciated. When I first looked at it I had no idea what I was looking at. Then I started pieceing it together, and think it was took next to the tree house with their back to Big Jack's sandwich shop. Looks like they took it looking at the Saloon with Fire-In-The-Hole in the background. It seems like you should be able to see the train tracks, but maybe they are just out of sight to the right. I believe this would have been about the first year that the Deep Woods would have been open, and The Diving Bell would have opened in 1977 also. You afre right about location. IF you look real close you can see the tracks..
in the tree shaded area. Right above the rest room sign... what do you see? RR Tracks!! I saw that but still thought it might be tree branches. It sure does look like RR tracks though. The flat roof is where the Valley Woodcarvers are, now. You're standing at the top of the stairs that go down to the backside of the restrooms. You can barely make out the underpass, the tracks would be just to the right. There are two lamp posts in the middle at the bottom where you would walk underneath the underpass into The Deep Woods (same as today). The flat roof to the left looks kind of odd to me. I am sure it would look fine if I could see the whole picture, but planted flowers and plants on the roof?? Yeah! I remember that now.....thanks tinmann620! 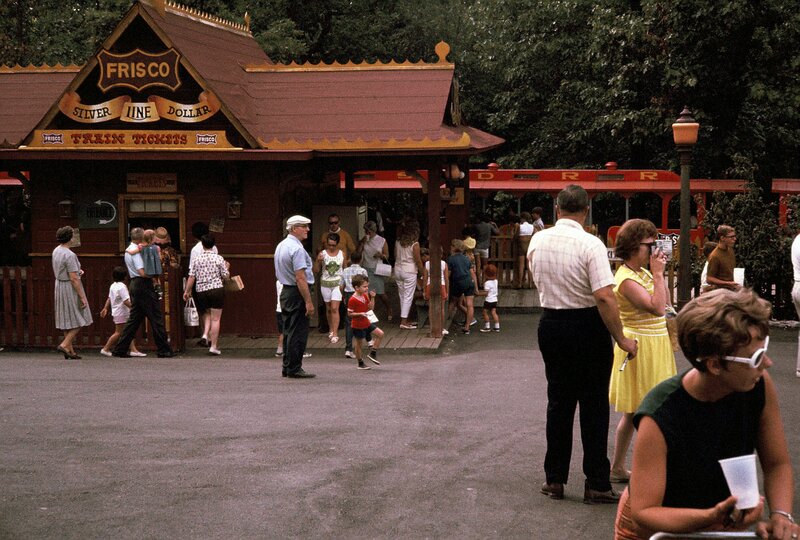 Here is a slide/picture from 1977 that I have no idea of the exact location. 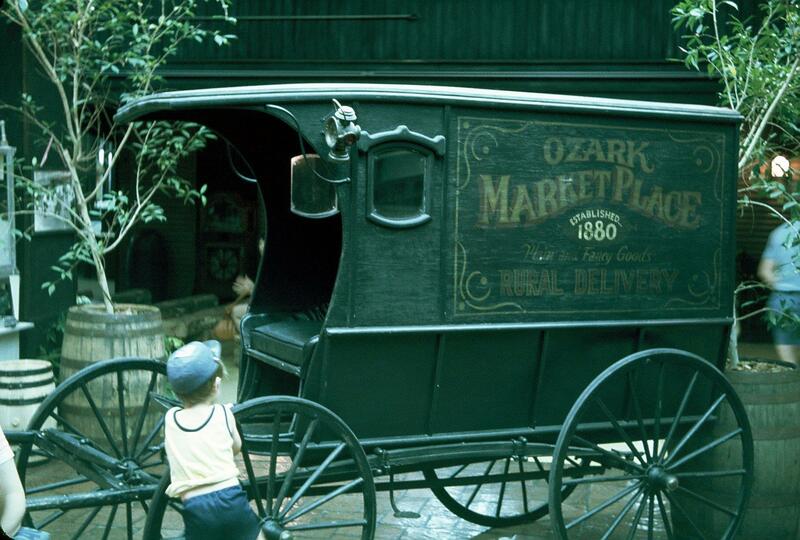 My only guess would be around the Ozark Marketplace.....nothing really for me looks familiar to compare with today. 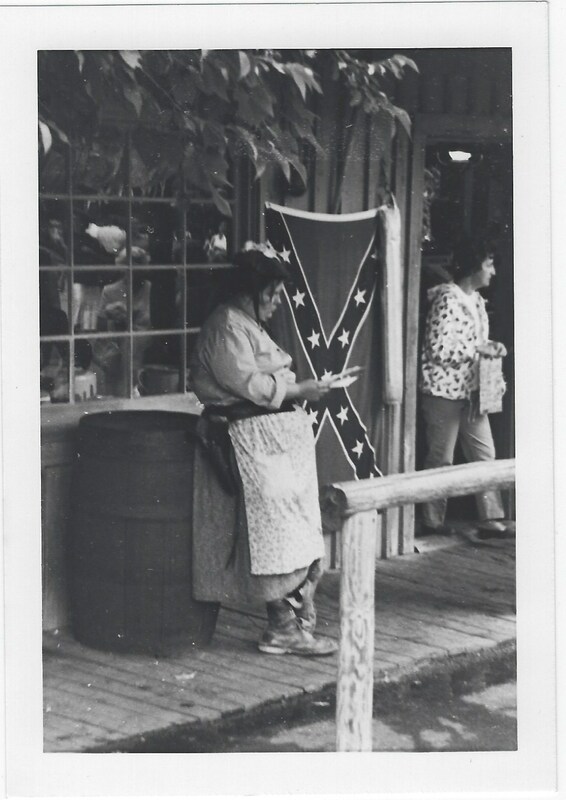 Here is a picture from probably the mid 1960's of the front of the General Store (I think). It's interesting how much Civil War items were on display, and for sale at the city at this time. Things have definitely changed! I know I have requested this before, but here I go again! Any photos of the diving bell? Things out of your family scrapbooks, 1977 to 1984. 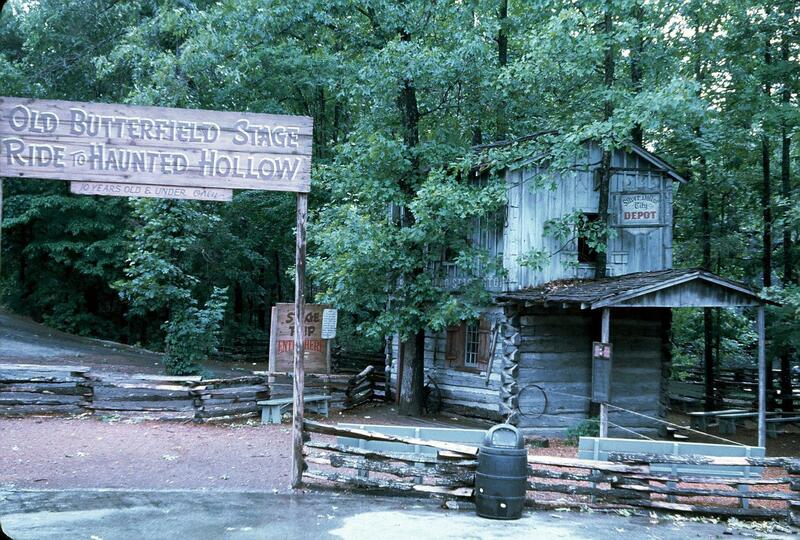 The old Deepwoods area is the Riverfront area today, so any photos out of that area? I was at the diving bell as JUNIOR DUGAN 1979-1984, and love seeing old photos of the attraction and its employees. Good times indeed! No, sorry Junior, I wish I did. 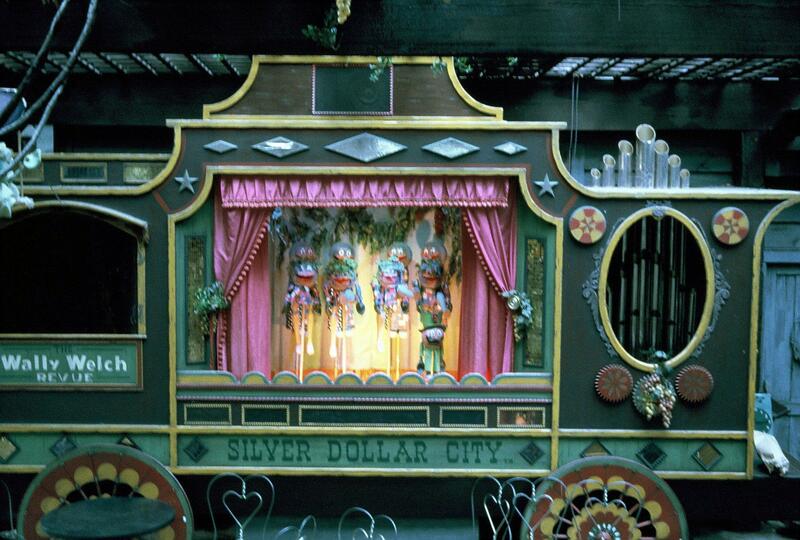 Here is a couple of slides/photos from 1977 of the Wally Welch Puppet Show that was located where the Wagon Works Grill is today. Sorry about the quality. Here is another slide/picture from 1968 of the Train Depot. 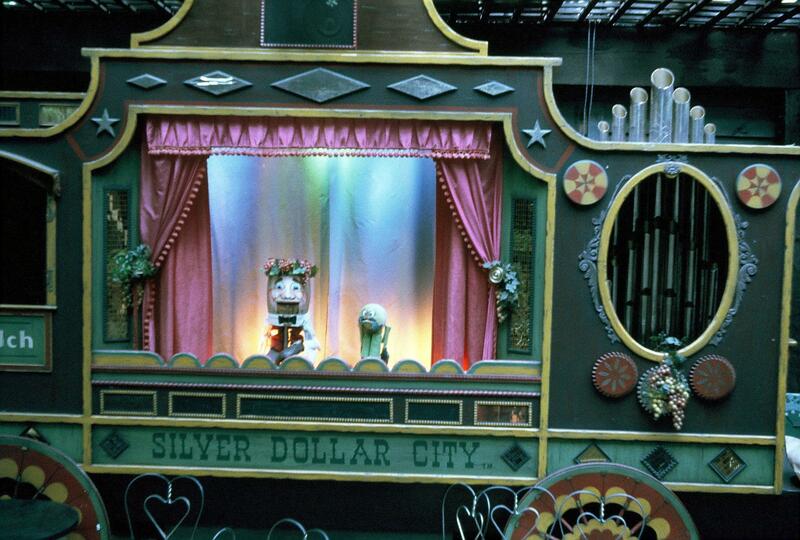 Sometimes there is a certain picture that brings back fond memories of SDC. I believe this one from 1977 does that for me more than any other. In the 1970's it seems there was always a group or individual playing music on the left side as you entered the Hospitality House. It seemed they were playing just for me to welcome me to the city. I fondly remember this touch as well. 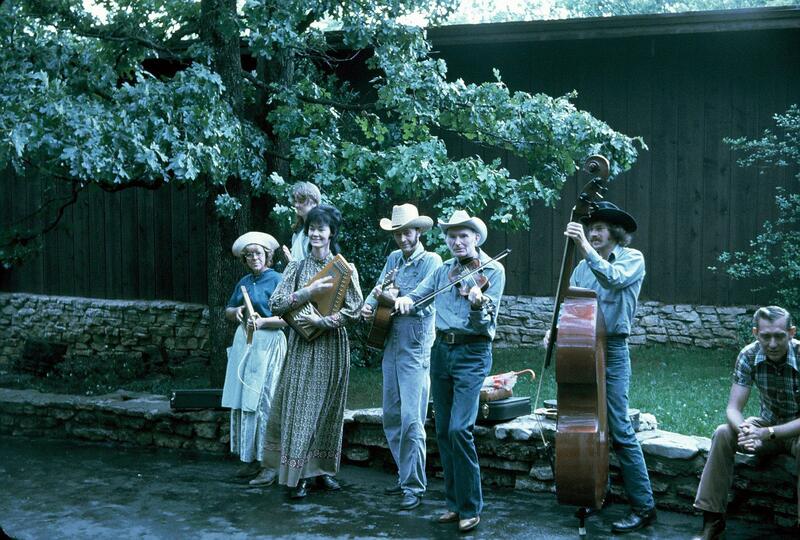 This was the SDC I grew up with and miss sometimes. 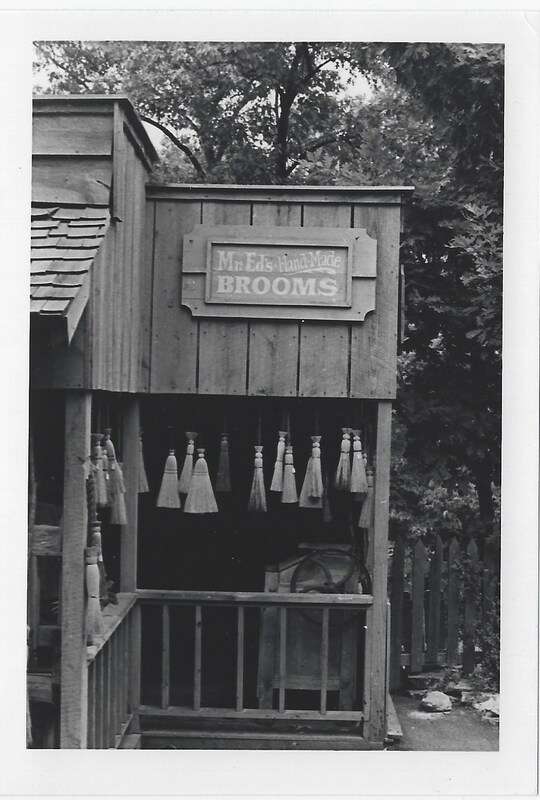 Here is a slide/picture from I would say mid 1960's. I believe it was taken where the corkscrew pass is today.....just to the left as you are going down. Miss Kate's quilt shop is located there today. 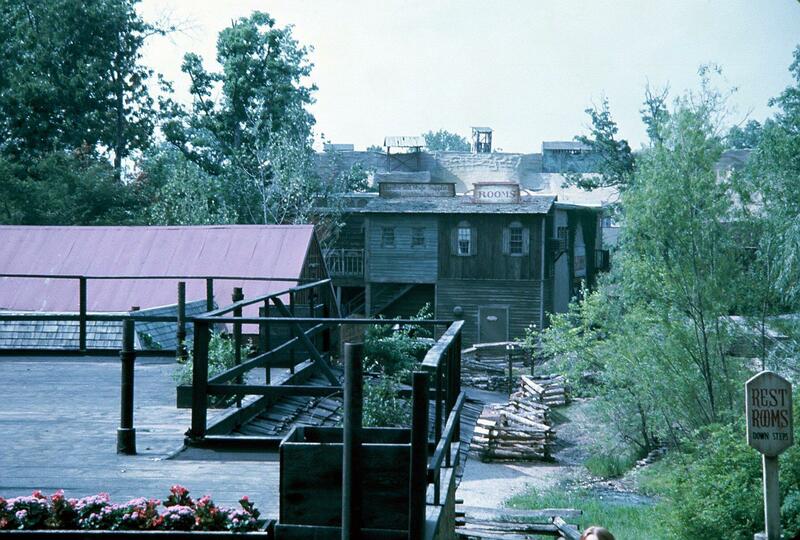 Here is a slide/picture from 1977 of the stagecoach ride. I am not sure of the very last year you could ride, but this would have to be near the end. I had forgotten that only 10 years old and under could ride at that time. Really nice photo that probably jogs a lot of people's memory.